To clinically validate the fluorescence devices, DIAGNOdent Pen™ and Vista Proof™ for the evaluation of non-cavitated white spot lesions (WSL) in orthodontic patients and using direct visual examination after the brackets removal, as the gold standard. The sample consisted of 31 patients, 13–28 years old, under fixed appliance orthodontic treatment. Teeth (N = 619) were evaluated with the brackets on, after cleaning and air drying, by direct, indirect visual examination and using the DIAGNOdent Pen™ device. After debonding with direct visual examination and the Vista Proof™ device. WSL were scored with the Gorelick Index for visual examination. The fluorescence devices were validated by calculating sensitivity, specificity and accuracy while ROC curves and area under the curve were used for comparison among the examination methods. Among the different diagnostic methods, visual examination recorded the highest degree of accuracy. The performance of the fluorescence devices was poor compared with that of the visual methods for mild WSL, while for more extended lesions no difference was found. A comparison between the validity of the two devices’ showed no statistically significant difference. 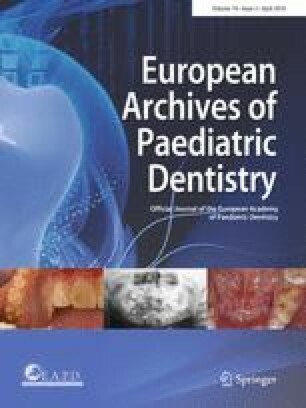 The validity of DIAGNOdent Pen™ and Vista Proof™ for the chairside diagnosis and quantification of non-cavitated WSL in orthodontic patients was moderate, and no better as compared to the visual diagnostic methods. The fluorescence devices performed similarly to the visual examination for more extended WSL and poorer for milder ones. Validity between the two devices did not differ. Partially funded from ‘Kapodistrias’, University of Athens, 70/04/7551. It is a small University Grand (1000 euro) to support minor expenses for the study. The study has been performed in accordance with the ethical standards as laid down in the 1964 Declaration of Helsinki and its later amendments or comparable ethical standards. Approval was obtained from the ethics committee of the Dental School of the University of Athens (no. 111, 22/01/2009).